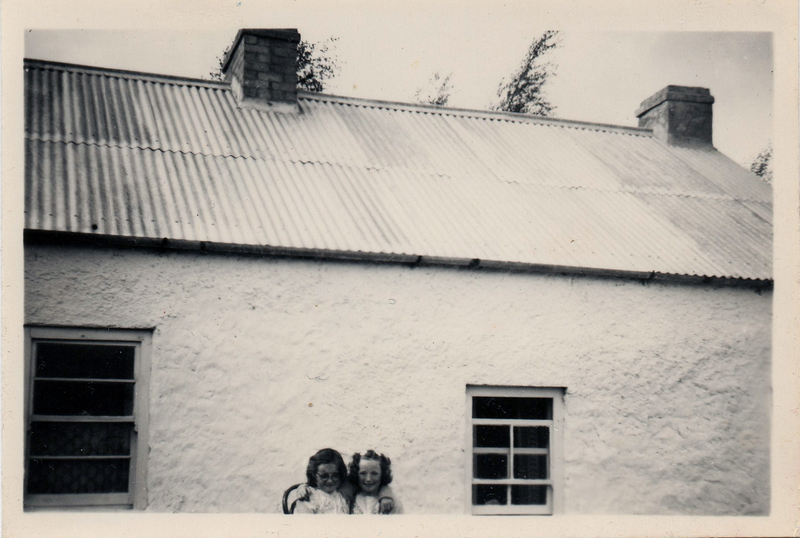 Until today I had never seen a photo of the cottage before its extension and renovation in the 50’s, when the traditional thatched roof was replaced with corrugated metal, and the mud walls extended in concrete blockwork. 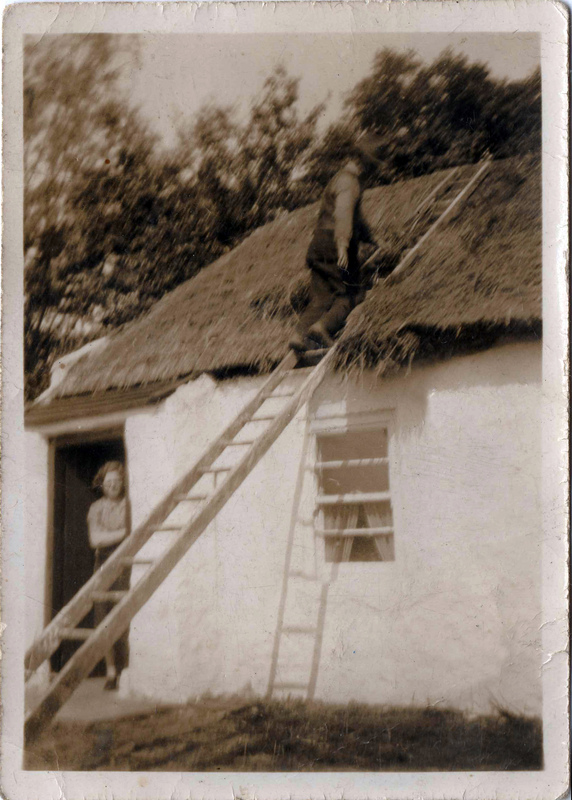 My aunt sent me a collection of very old photographs, including the photo above – showing a thatcher hard at work on the cottage roof, with my grandmother framed in the doorway. This scene must have been common in rural Ireland. A thatched roof needs little maintenance, but must be completely renewed every ten years a big cost on a small farm. It is easy to see why so many opted to replace their thatch with permanent roofs of corrugated iron. The feature image was also in the pack of photographs from my aunt. I know Sigrun will love it! The way the opening has been formed in the mud wall is quite beautiful. A standard timber sash, which wouldn’t look out of place in a victorian brick terrace has been carefully inserted into the massive cob wall. Below is a portrait of my great, great grandfather Connor, who lived in the tiny cottage at the time of the 1911 census with his wife and MANY children! 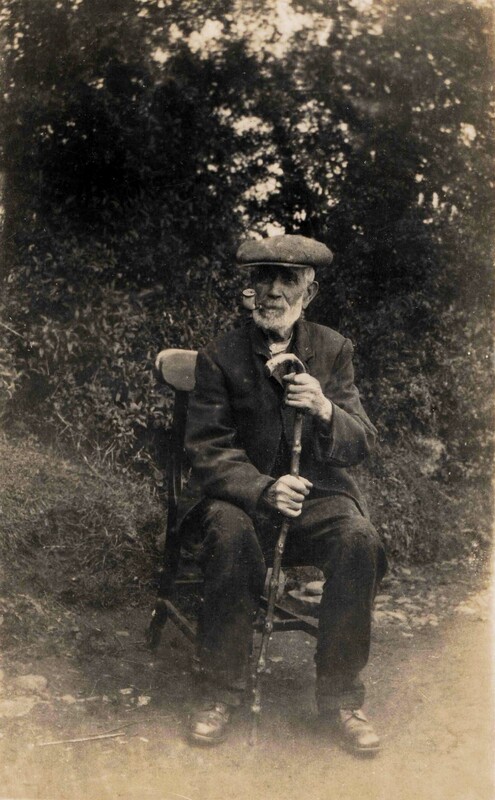 He lived in the family cottage his entire life, having survived the potato famine in his youth.